During 2018, Newrest staff over- came an unprecedented challenge by preparing the opening of 3 production units on North American soil in under 6 months. On July 11 and September 10, 2018, the Raleigh- Durham (RDU) and Salt Lake City (SLC) units entered operation just a few months apart. 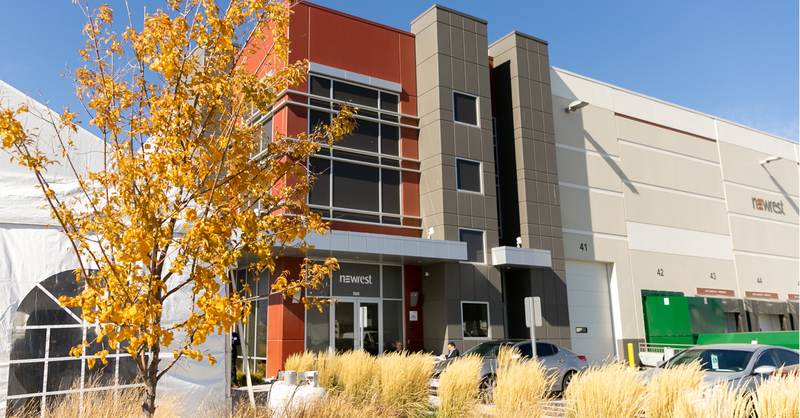 In December 2018, it was the Dorval unit near Montreal that opened its doors. On American soil, Newrest serves more than 250 flights per day and, in Montreal, the new unit serves 90 additional flights from Canada, where Newrest has been operating since 2009. The Group demonstrated its project management skills and start-up spirit with these launches. The project was already ready three months ahead, demonstrating our responsiveness to the partnership. Work on the Raleigh-Durham unit began in December 2017, and the Salt Lake City project kicked off in January 2018. The project team was made up of local employees, Group architects and a team specialized in project management in America, the schedule included a period for running in and staff training, before entry into operational service for flights in July at Raleigh-Durham, and September at Salt Lake City. By providing exclusive services for Delta Air Lines, for which the airport is a major hub with 210 flights a day, Salt Lake City presented a real challenge for the Group. ‘Hubs’ are hotspots for airlines, and therefore crucial for their passengers and their brand images. As in the case of Montreal and Raleigh-Durham, Salt Lake City benefited from the launch of the Group's own ‘task force’ system, but on an unprecedented scale. Over 30 people from 12 countries arrived to support local staff during the launch and to impart Newrest’s know-how and mindset. Despite the fact that it has 32,000 employees, Newrest is a human-sized group with a ‘start-up’ mindset. Efficiency relies on teamwork. ‘Task force’ operations are a common practice at Newrest: during the launch period, key staff are assigned to train and supervise the others, but also get their ‘hands dirty’ and inject the energy required for the launch. The skills transfer takes place at the key moment of the launch. For Raleigh-Durham and Salt Lake City, this ‘helping hand’ was all the more necessary as these two units are the first to open in an entirely new country for Newrest. The launch of the on-board service on the Moroccan HST, Al Boraq, is an excellent demonstration of Newrest Wagons-Lits’ railway catering expertise. Newrest was chosen by ONCF to provide on-board catering for the brand new Moroccan HST inaugurated on November 15, 2018 by King Mohammed VI, with the attendance of the French President Emmanuel Macron. Newrest is proud to have been chosen, alongside iconic French companies such as SNCF and Alstom, to provide its know-how in the field of rail catering to ONCF and to be involved in the first HST on the continent of Africa. Newrest Wagons-Lits already operates 325,000 trains a year across Europe and serves 55,860 on-board meals each day. Our partners include SNCF, Alléo, Eurostar, Thalys, ÖBB and Comboios de Portugal. SAAC-Newrest commenced business on-board the Al Haramain on October 11, 2018 in Saudi Arabia, the first HST (High Speed Railway) in the Middle East that will eventually transport up to 60 million passengers between Medina and Mecca each year. The Caledonian Sleeper is a luxury night train connecting Scotland with London. Newrest now handles some of the on-board catering by offering Serco fresh alternatives to their frozen selection. Since April 2018, Newrest staff in the UK have been working with Virgin Trains and its suppliers to develop menus (dinner, breakfast, daily including weekends, with the Box) to improve the quality of customer services.